Emory Williamson joined the Community Foundation in August 2017 as the Scholarship Coordinator. At the Community Foundation, Emory works with the Mission and Impact Team to lead the efforts of managing and administering the Foundation’s portfolio of 100-plus scholarship funds in order to build and sustain relations with donors, recipients, and educational institutions. Prior to joining the Community Foundation, Emory worked in Mississippi and Memphis, Tennessee with Teach For America as a teacher and then as a manager of new teachers on TFA’s staff. 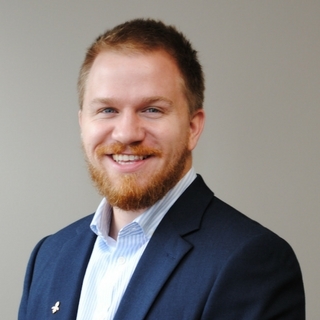 Prior to TFA, he worked as a recruiter with the Kentucky College of Art + Design and with various news media outlets, including Business First, the Kentucky Press Association, and the Society of Professional Journalists. Recently, Emory was selected by the Fund for the Arts 2019 NeXt Ambassadors class. In addition, Emory was honored with the 2019 Young Leaders award by Business First and the Young Professionals Association of Louisville. Emory was born and raised in Louisville. He attended Eastern High School and earned a double B.S. in Sociology and Communication from the University of Louisville, where he was Editor in Chief of his college newspaper and founded an LGBTQ-rights group called Straight Against Hate. His community involvement is extensive and includes serving on boards with the National Alliance on Mental Illness – Louisville, Coalition for the Homeless, and Centerstone. Emory’s interest in human rights, social justice, and global relations has allowed him to study in Israel and work in Honduras, Morocco, Nepal, Peru, and Turkey.